Tony, Renee and Adrian talk about the Lean Kanban University’s announcement of first ever accredited kanban training program. For additional background, here is David Anderson’s related posts on “Who own’s Kanban?” and “Standards into Kanban training”. Note: The penny dropped for Renee at near minute 39 – this is accreditation for the providers of the training – not of the training course itself. Why call the site/service/business the “Lean Kanban University”? LKU is not a university in the traditional academic sense of the word. It does not intend to be a collection of colleges nor grant doctorate level degrees (the usual requirements for an academic university). It is much more closely related to the concept of a Corporate University, the best known of which are probably those run by McDonald’s, Disney and Toyota. According to a 2007 Society for Human Resource Management article there were more than 2000 such entities in existence at that time. LKU incorporates the structure of a corporate university with traditional training/consulting practices. It provides a curriculum-based model with common material and accredited instructors, and thereby provides access to high-quality training to organizations too small for their own university or corporate universities where courses in Kanban may not be cost effective to produce in house. The only thing that really stuck out for me were the examples (Disney etc) of universities that don’t provide degrees. Each of the examples were for individual companies to reflect their way of working and train in localized process and procedures – of the 200 similar universities are they providing training to a broad community? I certainly see your point, and unfortunately I don’t have any detail on these 2000 entities. However I can speak to one example with which I am familiar, that being the university run by my former employer Sprint, the 3rd largest wireless phone company in the US. In addition to reinforcing the company’s processes, procedures, culture and ethos, all training classes were funneled through this organization. In fact this was company policy and I attended a wide range of classes through them. I’m also aware of circumstances where large companies have allowed employees of partner companies to attend training classes hosted by their university. Can customers just get Lean training without Kanban and vice versa? At the moment LKU only accredits Kanban training courses. Is the training primarily focussed on software development? When Kanban training for knowledge work began several years ago, demand was initially greatest among software development. We believe that software development is at a similar place now as manufacturing was before Henry Ford came along in terms of maturity. Ten years from now software development will be much more mature and much more efficient than it is today. We believe that Kanban will have a hand in helping to make that happen. We’re seeing increased interest in applying Kanban to IT Operations. This is an area that would greatly benefit from the efficiency gains that come with implementing Kanban. Why did you choose the term “University” especially as Universities provide Academic Degrees (eg Bachelor’s, Masters, Doctorine)? Does the term “University” intentionally demean those who spent 3 years at a real university? Is the “University” regionally accredited? What do you believe the Kanban Training will provide that David Anderson’s book or playing the getKanban game will not cover? While reading a book is useful, there are advantages gained from a classroom environment with a real person teaching the class. The instructor can survey the class to get a feel for the level of understanding the group has and teach to that level. They also bring their personal history of implementing Kanban, which adds value to the class. Class attendees also get an opportunity to interact and talk about shared experiences, which can be very valuable. People who have attend an LKU Accredited Kanban Training class also get one-year individual membership in LKU. In the future this will include access to a members-only section of the LKU website where they can receive updates on Kanban as it evolves in practice and theory, exchange experiences on Kanban implementations, etc. Note that this functionality is still under construction. How much of the course is Lean focussed? The curriculum is based on the Kanban Method as documented in David’s book on the topic. The emphasis is evolutionary change, what the Japanese refer to as Kaizen (or continuous improvement). Western Lean (defined by academics in Boston) incorporates these same ideas but the focus is often different. Western approaches to change are often managed projects with defined outcomes. Kanban training follows more closely the original ethos of Toyota Way and is designed to encourage improvement in organizations that have struggled with change initiatives in the past. How much of the course content is Agile focussed? The use of Kanban is partly intended to improve agility. We can think of agility as the ability to respond to changes in the market and other opportunities, and also in the speed with which we respond – the lead time. Observing, measuring and managing for shorter lead times is a key focus in the training. Is the content one day? If so, what was the instructional design intent behind this? LKU will accredit 1-day and 2-day classes provided by our member firms. The 1-day class is meant to be an overview and, depending on the level of Kanban knowledge already present, may be enough to get started with Kanban. However we find that a 2-day class is required to gain a full understanding of the theory and practice of Kanban. The 2-day class best prepares the organization for success. I heard a rumour that the course is $500 for a day. That seems very competitive – was this intentional? Each member firm is free to prices their classes as they see fit. LKU does not set prices for training classes. I could not find any actual Kanban Training Programs in the events calendar – am I looking in the wrong area or are these unscheduled yet? We’ve seen strong demand from firms in South America that would like to offer Accredited Kanban Training classes, and a little from S. Africa. Please send any interested training firms my direction. What do you consider “accreditation”? In order to offer Accredited Kanban Training the firm offering the training must be a member of LKU. Each member firms must identify the trainer(s) who will be teach the accredit course. That trainer is evaluated by the Advisory Board for experience in Kanban implementation and experience in teaching Kanban classes. The material used by the training firm/teacher is reviewed by LKU to ensure that it is consistent with the curriculum established by the organization. The focus on LKU is on quality trainers and quality training material. Will this enforce a test to adequately gauge compentency/capability of implementing Kanban or Lean back in one’s team? At the moment LKU does not offer a certification for individuals. We believe that a certification only has value if it is an indication of a person’s skills. We are currently investigating the implementation of a certification program, but will only do so if we believe that it has real teeth. Is this accreditation useable as units against a more comprehensive program (ie PMI certification or a real university degree)? Why make it a “certified” course and not just a training course that people can attend? By attending a Leak-Kanban University Accredited Kanban Class you receive a level of assurance that both the trainer and the training material have been vetted and approved by a group committed to providing quality training. We believe that this has value, and the early indications are that the market agrees. What sort of formal process or training accreditations do the trainers have (if any)? LKU was founded by a group of very experienced Kanban trainers. The process of bringing on new trainers will entail a review process by the LKU advisory board. What sort of length of time do they have to have had conducting similar training to be deemed a Trainer? The criteria for new trainers is currently be established. Indeed, practical experience implementing Kanban is a requirement for all trainers. They must have practical experience in addition to academic knowledge of Kanban. How does any of the Lean Kanban training courses link in with ICAgile? I can’t comment on ICAgile. How do you see the LKU being competively different from ICAgile? Primarily the focus of Lean and operational vs project delivery? Do you intend to have shu-ha-ri or Dreyfus like levels of capability directed training either now or in the future? There has been discussion amongst the Advisory Board about different levels of training in future. At this time there is no commitment to any particular model. How do you see this course being conceptually different from the Certified Scrum Master course? I can’t comment on CSM. I understand that we are talking about two different methods at the end of the day but arguably a person who completes a CSM is a master of basic terms only and would not be able to effectively lead a team in the method without considerable support or further reading. Scrum has been hit hard lately with a backlash from the community that Certification was only introduced as a means to make money and not really improve capability – is the LKU going down a similar path? The LKU Accredited Kanban Training Program is governed by an Advisory Board of 18 member firms. At this time all the Advisory Board members are charter members who ratified the governing charter. Over time new member firms will join LKU and will be represented by elected members on the Advisory Board. Each member firm pays fees to LKU in order to fund its operations, which include the services of defining curricula, accrediting training materials and trainers, and marketing the value of high quality Kanban training. Each member firm offers Kanban training in a competitive market at a price their local markets can sustain. They are for profit businesses and it is expected that they will make profits from selling Kanban training. We believe that there is nothing wrong with making profits or in differentiating their business and their offerings on the grounds of quality and price. Does any of the training cover cultural transformations? Cultural transformations is not covered in the standard curriculum. However each firm has the option to add this to their class if they wish. Is there any content about Cynefin? Lean Start-ups? As above, is not covered in the standard curriculum. However each firm has the option to add this to their class if they wish. Each individual who attends an Accredited class will get a one-year membership in LKU, with the option of extending that membership each year. In the future there will be a communities section of the LKU site where members can view updates on Kanban on it progresses in theory and practice, exchange idea on implementation, etc. Note that this functionality is not operational at the moment. 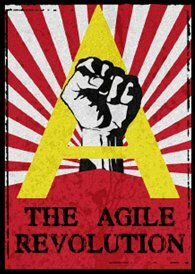 Agile has suffered a lot from poor implementations of the values, principles, practices and process. There are often justifications of “this project failed because they weren’t really doing Agile” – do you believe there is a similar risk for Lean and Kanban and if so do you have any thoughts of how to reduce the probability of this occurring? ie is there a core minimum that can be maturity assessed against? I can’t comment on how people implement Kanban or the project they focus on. I can say that the goal of LKU is to provide quality trainers and quality training material. We believe that these two things will increase the probability of a successful Kanban implementation. This entry was tagged Adrian Smith, agile, David J Anderson, Keith Mitchell, LKU, Renee Troughton, Tony Ponton. Bookmark the permalink.